To those of you who are joining us here on the beautiful grounds of our State Capitol, and to those of you watching across the state – thank you for being part of today’s historic ceremony. To the hundreds – if not thousands – of others who couldn’t be with us here in person but who have faithfully kept me and my administration at the forefront of your prayers since I became your Governor on April 10th, 2017, I thank you! 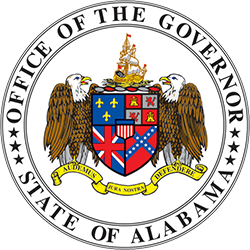 On this very site, many men and only one other woman have stood to be given the ultimate honor of a lifetime – the opportunity to be administered the Oath of Office after having been duly elected Governor of Alabama by the people of our great state. Like most of my predecessors, my pathway to this spot was certainly not predetermined or even likely. After all, when I was growing up in my hometown of Camden, little girls simply didn’t dream of growing up to one day be elected Governor. Much of any success I have enjoyed in life I owe to my wonderful parents, the late Barbara and Nettles Ivey. They taught me the values of hard work and living within one’s means. It was their unwavering love, support and confidence – through the years – that provided me the firm foundation which allows me to stand before you today. As your Governor, I am first and foremost a public servant, accountable to the nearly five million people who call Alabama home. I work for those who voted for me as well as those who didn’t. And upon taking the Oath of Office, I have solemnly promised to uphold the office to which I have been elected with dignity and integrity while working hard to keep Alabama growing. I also want to recognize – and thank – my cabinet and staff for their hard work and long hours. With their help, we steadied the ship of state and put Alabama back to work. Because of their determination, I believe we are well-positioned to continue moving Alabama forward to some of our brightest days. We are also honored to have former Lieutenant Governors Windom and McMillan, as well as Governors Siegelman and Folsom who also served as Lieutenant Governors. On the platform with me today are our current constitutional officers, Lieutenant Governor Ainsworth, Attorney General Marshall, Auditor Ziegler, Secretary of State Merrill, Treasurer McMillan and Agriculture Commissioner Pate. Also on the platform, we recognize Public Service Commissioners Jeremy Oden and Chip Beeker. The people of Alabama thank all of you for your commitment to public service and for your dedication to them. Also joining me are members of our State Board of Education sworn in today. Board Members Doctor McCarty, Doctor Richardson and West, as well as Doctor Reynolds who could not be here today. I look forward to continue working closely with you to ensure all Alabama students have the opportunity for a beneficial education, which puts them on a path to success. Additionally, I’d like to thank the Chief Justice and Associate Justices of the Alabama Supreme Court for participating in today’s swearing-in ceremony. A very special Alabamian and my longtime friend from Wilcox County is here today – former U.S. Senator and U.S. Attorney General Jeff Sessions! If you’re from Wilcox County, you just never know where you’ll end up. It is always good to welcome home — and publicly thank — Alabama’s outstanding Congressional Delegation, lead by Senior Senator Richard Shelby, and represented today by Congressman Byrne and Congresswoman Roby. Time and time and again Alabama’s delegation chooses to put the people of our state ahead of any partisan interests. To each of you, we offer our heartfelt thanks for your service. And speaking of our Congressional Delegation, my Administration has already been hard at work with local and state leaders in all 67 counties to begin the tedious — but all-important task of making sure we get an accurate head count for the upcoming Census. This isn’t just about the possibility of losing a seat in Congress; it’s much more important than that. It’s also about protecting our crucial Federal funding that the hard-working taxpayers of our state send to Washington. As this work kicks into high gear, it is all our responsibility to make certain that every citizen is counted in the 2020 Census; that’s the only way to make certain that “Alabama counts” when it matters most. All of our leaders – from both parties – the 140 men and women of the Alabama Legislature – serve as partners in our quest to keep Alabama working and growing. You, the members of the Alabama Legislature, have the opportunity to make your mark in Alabama history as one of the most impactful legislatures ever. And I look forward to working with each of you as, together, we work to address our state’s most pressing problems. With ‘Strong Start, Strong Finish’, we are making our largest investment ever in education. We are setting high standards for student learning, and our efforts are paying off as we provide our students with the tools they need to grow and succeed. Ladies and gentlemen, we can all be grateful for this progress. But make no mistake… we’re not done yet; we’ve only just begun. 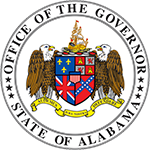 Alabama’s dedicated and skilled workforce has helped ensure that our “Made in Alabama” brand is one of excellence and top-quality, which is recognized worldwide. 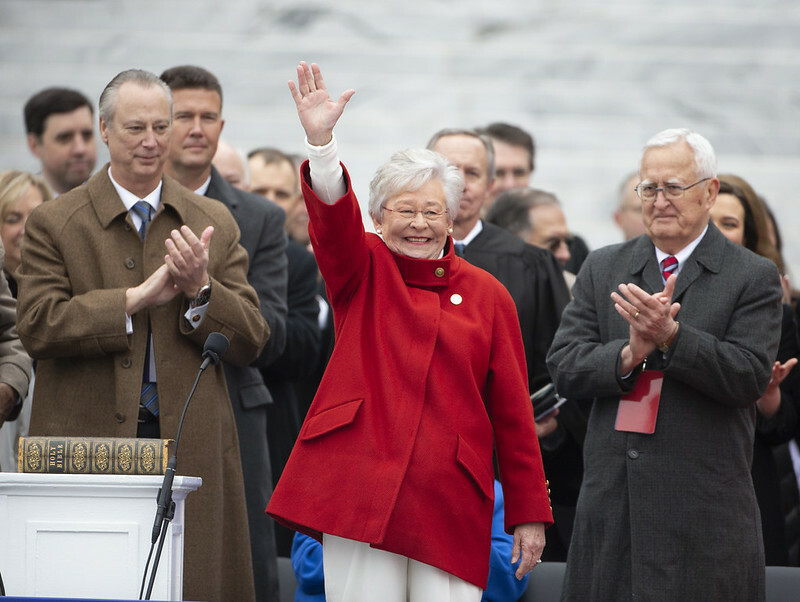 Fifty years ago, one of my childhood heroes, Governor Lurleen Wallace, was sworn in as the first woman governor in Alabama and only the second in our nation’s history. Although she is not with us in person, her spirit, life and legacy live on to this day. In her memory, I’ve requested that an empty chair be placed on the platform. We are honored to have her daughter Peggy with us today representing the Wallace family. Today, I follow in Governor Lurleen Wallace’s footsteps in many ways and make the same ask to the members of the Alabama Legislature. Improving our infrastructure is more than an investment in our roads and bridges; it’s an investment in economic development, public safety and local communities. It has been nearly three decades since we last made any changes to our current funding, and the challenge has grown with the passing of time. Now is the time to increase our investment in infrastructure – now is the time to solve this problem! We will have only one chance to do so. With the people’s help – and the support of the Alabama Legislature – I am confident we will do the right thing. Let’s face it. The challenges we confront today did not just arrive on our doorstep; likewise, they will not go away in weeks or even months. But if we work on them together – Democrats and Republicans, conservatives and liberals – then today’s challenges can be looked upon as tomorrow’s accomplishments. As we stand in the shadow of our majestic state capitol and look down historic Dexter Avenue, we must never forget where we’ve come from nor how much progress we’ve made. 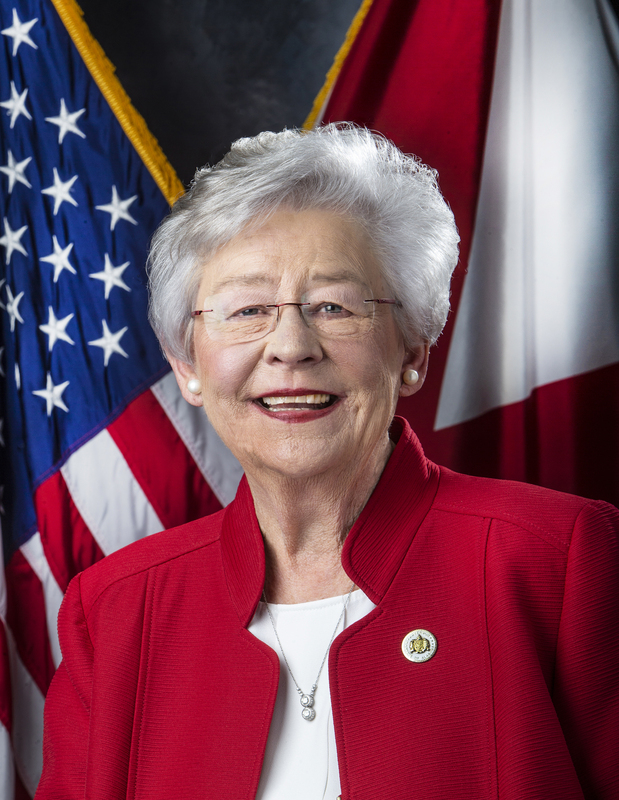 Thankfully, the Alabama we live in today – the Alabama we love – has changed with the times and, in most instances, this change has been for the better. Having learned from the past, let’s now turn our focus to the future, which is filled with so much hope and opportunity. Alabama successfully helped launch the program that took man to the moon and returned him back safely. And today, we continue to build the next generation of rockets that will take men – and women – to Mars and deep space and return them home safely. And only six years ago, we did not build a single airplane in Alabama. Yet, today, we are assembling one of the world’s best-selling single-aisle aircraft with a major groundbreaking happening later this week. More good paying jobs. Better education for our children. Roads that are the envy of the nation. But one thing is for sure…We cannot do this work alone. The campaign season and elections are long since behind us. Today, all Alabamians – regardless of party affiliation – have the chance to stand together, united, to help build a brighter future and guarantee that our best days are still in front of us. And we need everyone to help… teachers, farmers, job creators, health care professionals, law enforcement and the media. With your help – and with God’s amazing grace – the next four years will not only mark the beginning of our third century, they’ll be the foundation for our best years to come.